Ancon travel agency can help you to organize diving activities of any difficulty level. The diving spot of Maria la Gorda is located at the Guanahacabibes Peninsula National Park, which is a Biosphere Reserve. It is considered an almost virgin territory. This place also stands out because it is home to the largest black coral colony of Cuba. In your way to Maria la Gorda we recommend to make a stop at Cayo Levisa, a must-see tourist attraction. Deep down under the water, diverse types of corals, sponges, tropical fish and sunken ships that date back to the 17th-18th centuries can be found. Havana is an ideal place for those who desire to explore the ocean depths without leaving the capital. 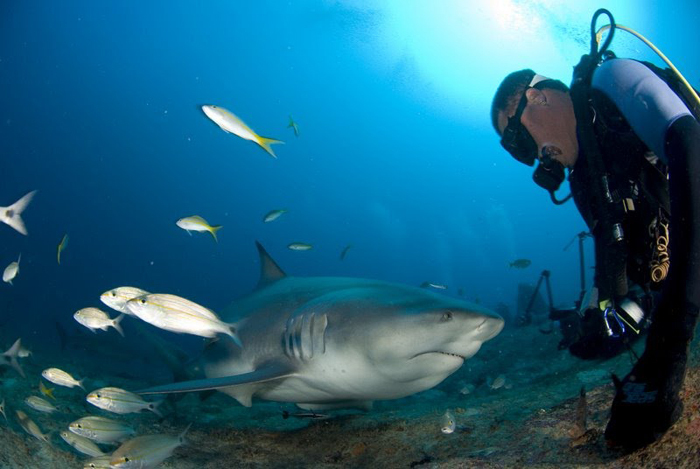 There are diving centers that cover an area of more than 100 square km. In deep waters you can find swordfish, parrotfish, sponges and moray eels. It is also possible to explore sunken ships, where many colorful fish species live. To the south of Isla de la Juventud, in the Punta Frances National Park, is located a wide diving area where wild life dwell in the sunken ships. One of the most outstanding facts about diving in this area is that divers can swim along the deep canals that coral reefs form underwater. 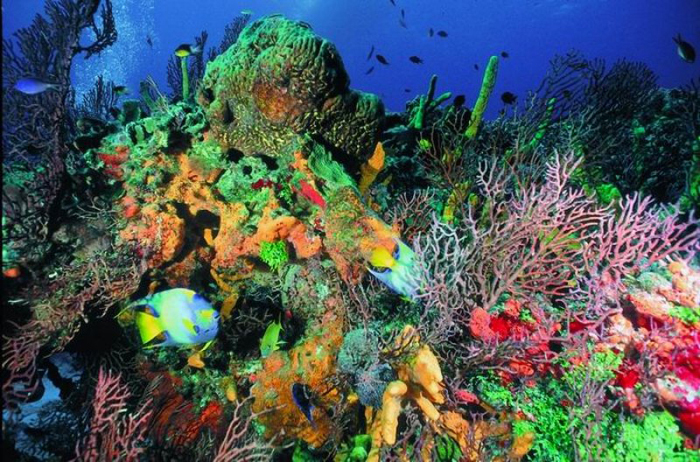 Exotic sponge species and gorgonians of all sizes and colors complement the beauty of this wondrous place. In the easternmost tip of the archipelago Los Canarreos, surrounded by white sand virgin beaches, is located one of the most attractive places for those who enjoy diving activities. The underwater world of the island never ceases to amaze: a wide variety of sponges, sea fans among other gorgonians of different shapes and colors can be found there. Divers are usually thrilled about swimming through submarine tunnels, near cliffs with upright walls and about watching first hand the pure underwater landscape. 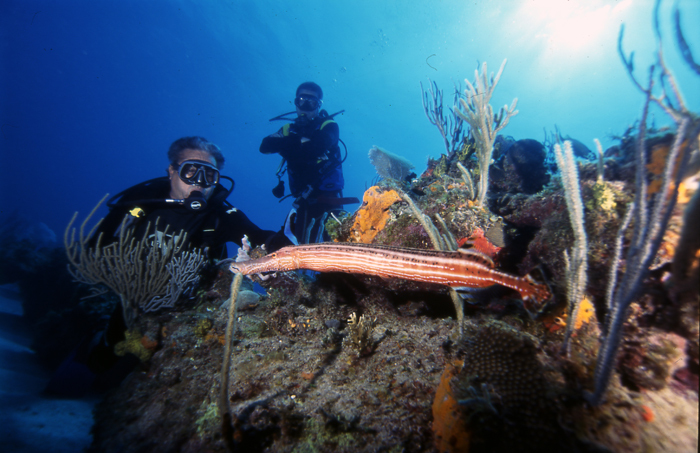 The diving area of Varadero is one of the most popular destinations. This large diving area is full of caves, tunnels and cliffs which abound with gorgonians that provide shelter for a large number of tropical fish. 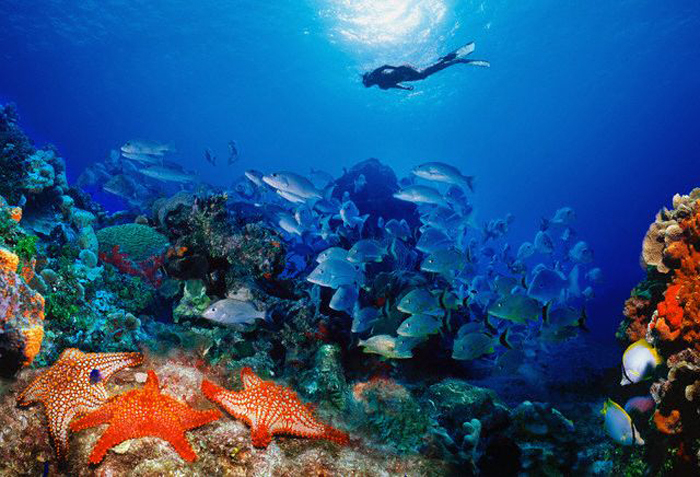 The diving spot of Bahia de Cochinos (Bay of Pigs) is located south of the province of Matanzas. The main attractions are scuba diving and underwater speleology exploration. The diving activities take place right in the seaboard, since this is the place where divers can find the most beautiful species of corals, like Staghorn corals, Brain corals, Maze corals, among others. Besides large colonies of wondrous corals, divers can observe colorful fish species. Divers can also watch sunken historical remnants of the US invasion to Bay of Pigs in 1961. This interesting city located by the sea is well-known among those who love underwater swimming. Divers can find here submarine landscapes of great beauty and one of the largest coral reefs of the country. 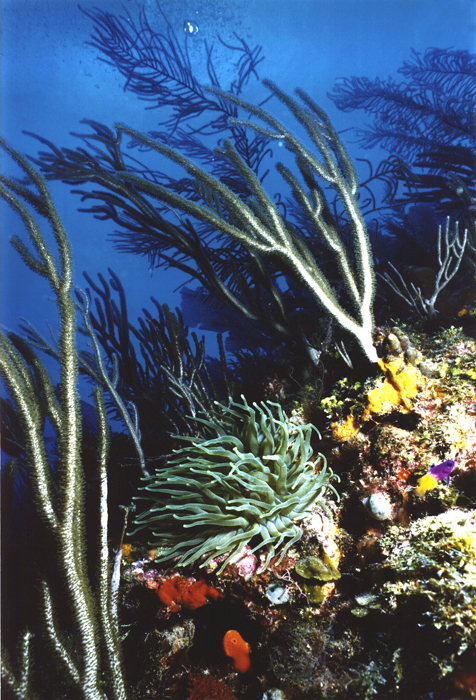 Staghorn corals, sea fans and other gorgonians are among the most common species of corals that can be seen there. Cienfuegos has two diving centers that cover a 6-square-kilometer area. Sunken ships covered in seashells which have become artificial reefs and abundant fish species are just a small example of the underwater beauty that can be observed in these waters. Here you can find also jellyfish, turtles, sea urchins and sometimes, if you are lucky enough, whale sharks. The diving center of Trinidad is at the Ancon Peninsula, close to the best beaches of the southern coast. Here are also comfortable hotels just a few meters away from the beach. There is a narrow stretch between this place and the coral island of Cayo Blanco and in its sandy bottom grow 5-meter-high coral colonies that form grottos and tunnels. A huge variety of fish inhabit this place. Almost 40 types of corals can be observed, including valuable black corals, as well as different sponge species and jellyfish. Santa Lucia is one of the most beautiful beaches in Cuba. It is located north of the province of Camaguey, in the north-eastern Cuban littoral and close to the largest coral reef of the Western Hemisphere. You will have the possibility of feeding the sharks. During the months from November and September, sharks return to these coasts. The coral reef is only a few minutes away by boat. The diving activities take place in La Boca canal, depending on the tides. The Cayo Coco diving area is located north of the coasts of the province of Ciego de Avila. It is well-known for its great variety of underwater landscapes, its transparent waters, its white sands and its captivating and delightful coral reefs reaching almost 40 km. In this place, the sea depth reaches between 2 and 40 meters and the main attraction is the abundant sea life. According to many experts there are few places in terms of beauty that can be compared to Cayo Coco or to the "huge aquarium", as people call it sometimes. 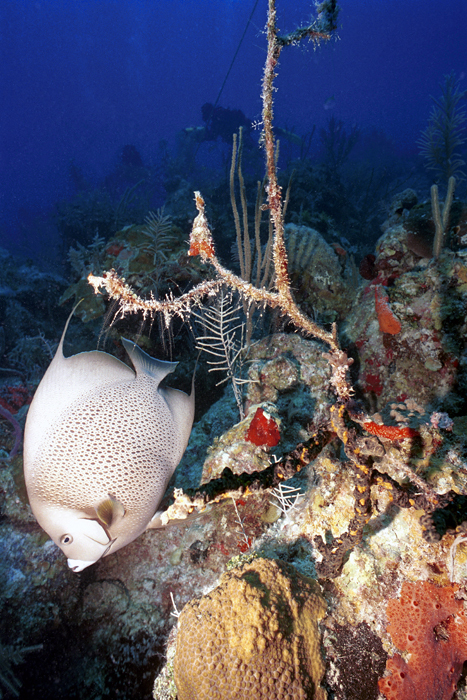 Sponges, gorgonians and other corals can be found in abundance at the sea bottom. The diving spot located in Holguin is 18 km long. The seabed is complex and uneven, full of caves, valleys and cliffs that descend vertically into the seabed, which is covered in a rich variety of corals. The main attraction of the region is Coral Garden, where visitors can find an artificial underwater park full of sunken tanks and heavy artillery. Gigantic gorgonians, sponges, diverse fish species, crabs and mollusks are undoubtedly the most outstanding and captivating examples of underwater life that make of this diving spot a unique place. There are coral reefs of exotic shapes growing along the sandy sea bottom and forming natural barriers, mounds, crests, caves and massive walls. The wrecks of the famous Squadron of warships led by Spanish Admiral Cervera are also part of the astonishing underwater beauties of this diving spot.